Grapes are probably one of the most well-known fruits in the entire planet. They come in different varieties and can be grown and cultivated in various parts of the globe. Nowadays, grapes are most associated with the making of wines. In terms of production, China and Italy are known to be the largest producers of grapes worldwide. Grapes offer an array of nutritional benefits to people. Past studies have long pegged grapes to be effective in the prevention of numerous health dilemmas including heart diseases, constipation, high blood pressure and even cancer. Grapes contain a number of nutritional elements like protein, fiber, vitamin C, potassium, folate and iron. They are also high in water content making it very good for body hydration. The anti-oxidant content of grapes also helps in battling the harmful free radicals in the body. Is it okay to feed grapes to my babies? Never give whole or intact grape fruits to your baby as this can lead to choking. Only give mashed-up grape fruits to your little ones. The ideal time to which you can start feeding grapes to your baby is between 6-8 months of age; of course, you must do this with utmost precaution. What are the health benefits of grapes for your babies? It protects your baby’s central nervous system. Your baby’s CNS is undergoing some major developmental process. As your baby grows, so does their nervous system. The nutritional contents in grapes help protect your baby’s neurons from damage and aids in keeping their brains healthy. Grapes can act as laxatives. 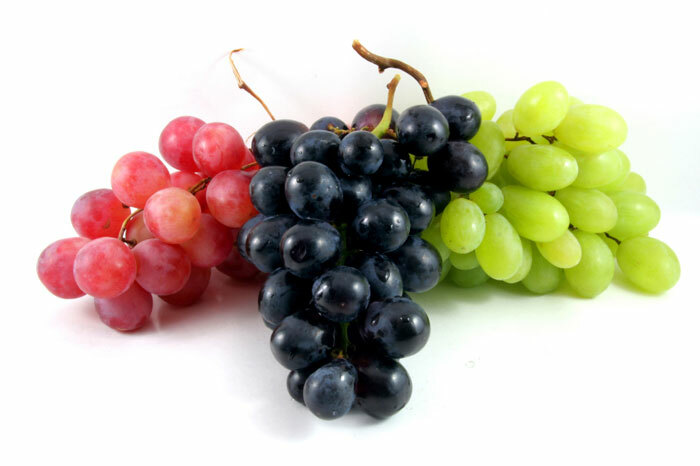 Grapes have fiber which can aid in your baby’s digestive processes. It keeps constipation at bay at helps your baby pass stool easily. Grapes are easily digestible. It counteracts the acidity in the stomach as well. Grapes can help protect your precious little ones from respiratory diseases. It can help cure a series of respiratory maladies ranging from the common cold, to bronchitis, cough and asthma.